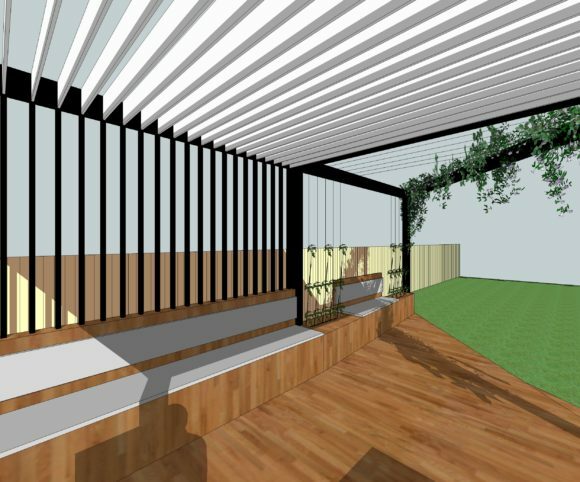 The project requires a pergola to the front yard of the house which is close to a protected tree. 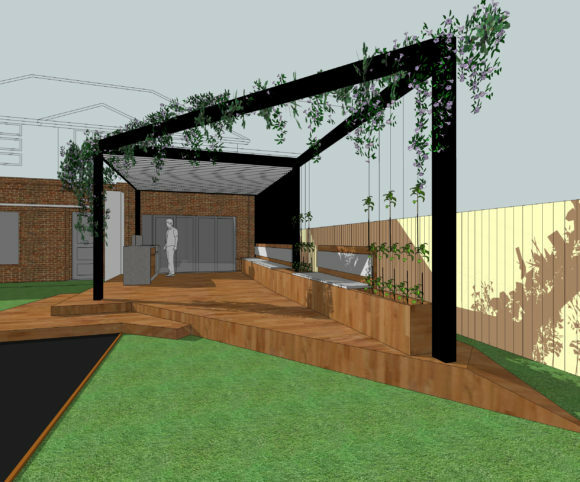 The pergola acts as a garden infrastructure that provides shelter and comfort to everyday enjoyment of the garden. 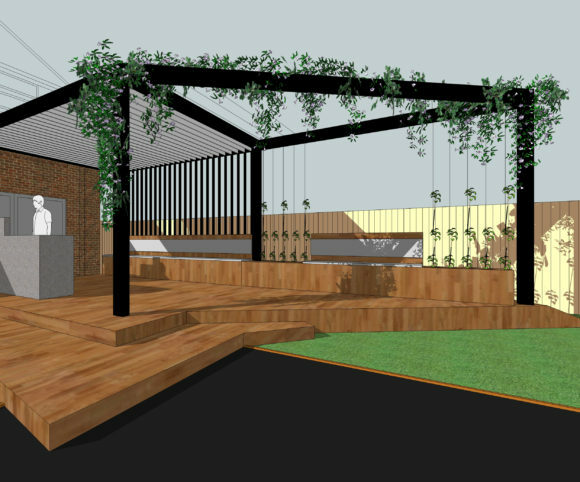 BBQ facility and long bench seating are integrated into the pergola with planting box for vine that will cover the front triangular frame. The motorised louvre roof provides flexibility and protection for uses in different weather conditions.